Posted: July 4, 2017 in F1, Obscurities, Who,What,Where & When...? Its not just a T40, it’s THE T40, Jack Brabham’s 1955 Australian Grand Prix winning car- Jack took a somewhat lucky win when the more powerful cars of Stan Jones and Reg Hunt fell by the wayside or were mortally wounded. Colour isn’t so common in Australian motor racing photography in the period- partially due to its cost and that professionals mainly shot in monochrome given good ole black and white in magazines prevailed. This is a fantastic colour photograph from Lindsay Ross’ oldracephotos.com.au archive, I’m not sure who the ‘snapper is in this particular case but his/her composition took my eye. 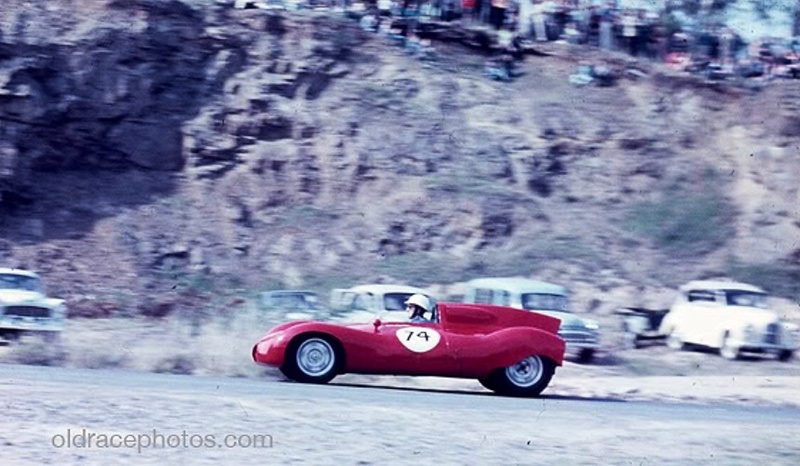 The 1959 Australian Hillclimb Championship was held at the Queens Domain on Saturday 14 November 1959, in fact the weekend was a ‘double-banger’ with competitors over from the mainland able to compete at the Baskerville circuit on the Sunday. Perhaps this photo is of Max during the championship meeting, i’m intrigued to know. ‘The gearbox was always this cars weakness…It was the usual Citroen based (ERSA modified) box Cooper were using in the early Bobtails and F2 cars, which worked ok with the FWA or FWB Climax, but 2 litres of Bristol power meant it had to be treated very gingerly. Longford was always hard on transmissions, even more so before the railway crossing was rebuilt prior to the 1960 meeting’. 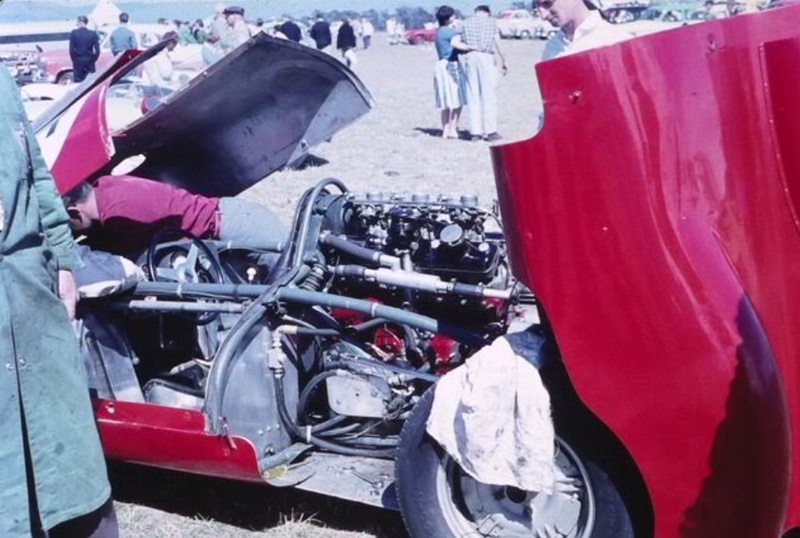 ‘Max Stephens never really had the chance to demonstrate his true potential in the car- he was a gifted motorcycle racer, Tasmania’s best in the 1950’s and there is no reason why he could not be good in a car also. I don’t know whether it was his (Max Stephens Motors in Moonah, a car sales, later accessories and motorcycles) business that stopped him getting more involved in car racing or whether money was the issue…he died a few years ago’. ‘The car was sold in about 1962/3 to Alan Robertson of Hobart who converted it from central seat to sportscar format and raced a few times before Bristol engine problems intervened…the car was purchased by Frank Cengia, who restored it in the original Brabham 1955 colours, but in the 1990’s it was unfortunately sold overseas…’when Pat Burke who owned the car fell upon hard times’. 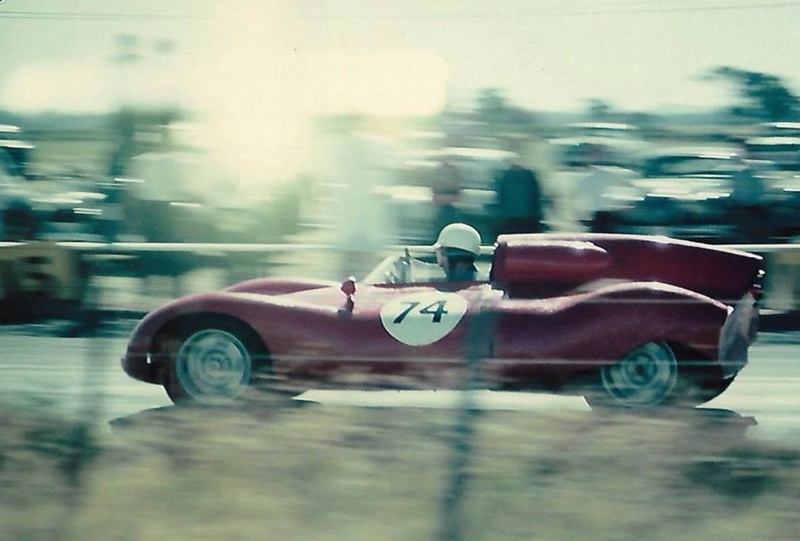 Scott Stephens describes his father Max‘…as a respected car and motorcycle racer. He was the only Australian, whilst riding a Manx Norton 500, who successfully passed Geoff Duke for the race lead whilst Geoff held the mantle of current World Champion, this was achieved during the Australian Grand Prix held at Longford…Observed motorcycle trials was his last competitive stance. He was the Kawasaki and Maserati distributor in Tasmania…In his Hobart store he was the approved reseller of Norton, BSA, Velocette, Triumph, Laverda, Maico, Cotton, AJS, CZ, Montesa, Bultaco, Ossa, Hodaka, Italjet and Suzuki’ makes down the decades. Scott himself was a successful professional racer who rode for Kawasaki Australia, Matich Pirelli Racing and Suzuki quips that Max ‘Loved and was amazed by anything driven by fuel!